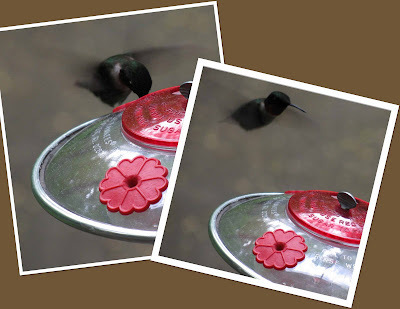 Feeding Hummingbirds is great, but having them right on the window is MUCH better! Why feed the birds if you can't see them? I just don't get it when folks have their feeders so far from the house that they need binoculars in order to see who is partaking of the bounty. :-/ Anyway, there is no reason for that when there are so many different devices available that can bring the birds to you.